Play this fast-paced 3D version of the popular arcade sports game where it's all about your reaction skills! Compete against the computer or a friend on your mobile device. Select a difficulty that matches your skills and choose the target score. Then it's only a matter of smashing the puck into the opponent's goal to win the game! Welcome to our famobilicious HTML 5 cross-device game catalog. Here you can find more than 300 non-exclusive and exclusive licensed HTML5 games, reviewed, categorized and hand-picked for every taste. Feel free to browse through our games created by developers from all around the world. 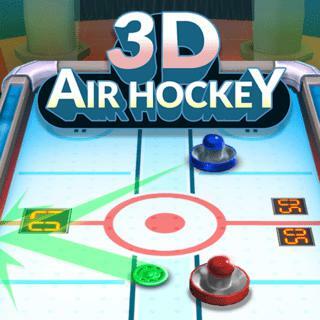 If you like 3D Air Hockey games, you should check out the other games from our famobilicious game catalog. Do you need help? Why don't you check out our Help & Support category and see if your questions and problems can be solved.